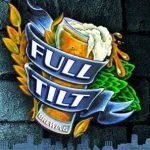 CBoTB-Full Tilt’s New Taproom-Part II! As you now know, Full Tilt Brewing has opened a new brewery and taproom just a few blocks south of Belvedere Square on York Road. The Full Tilt Brewery and taproom is located at 5604 York Road and is right in the middle of the Govans and Homeland neighborhoods in Baltimore. Last week, Full Tilt’s Nick Fertig told us about how he and Full Tilt co-founder Dan Baumiller started their brewery and about the journey from brewing in a kitchen to opening this amazing brewery and taproom. Now, in Part II of the Full Tilt story, Nick Fertig takes us inside the Full Tilt taproom. And not only do residents of Govans and Homeland have a cool place to hang out, it’s an easy visit for you and me. As soon as you walk in, you’ll feel at home. 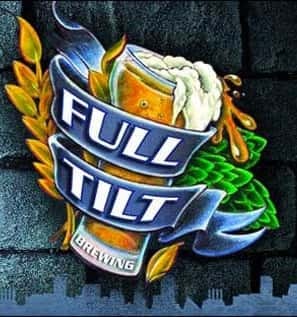 Full Tilt has 16 draft lines and features Full Tilt’s delicious line-up of craft beers and beers from other Maryland breweries. While visiting last week, I enjoyed Full Tilt’s spectacular IPA “Hops The Cat” and saw that they had guest drafts from Evolution Brewing, Independent Brewing and Waverly Brewing. Enjoy the space! Enjoy the beer! And enjoy being part of the Full Tilt family at their brand new brewery and taproom!